DAREDEVIL season 2 will be released on Netflix in 2016. 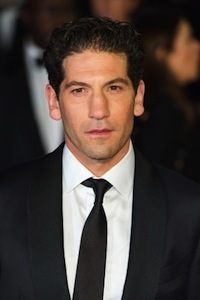 Are you excited for Bernthal to join DAREDEVIL? DAREDEVIL will return for a second season, Marvel and Netflix announced. Doug Petrie and Marco Ramirez will take over showrunning duties from season 1 showrunner Steven S. DeKnight. Are you excited for more DAREDEVIL? We’re one month out from DAREDEVIL’s debut on Netflix, and while the streaming service has released a tease of the teaser trailer, and the teaser trailer, they’ve now released a larger look at what to expect. 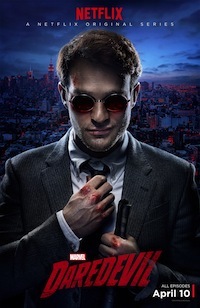 DAREDEVIL follows Matt Murdock (Charlie Cox), a blind lawyer by day, and the hero, Daredevil, at night. The series also stars Vincent D’Onofrio and Rosario Dawson. The 13-episode first season launches on April 10th. Check out the full trailer now! Will you be watching DAREDEVIL? Yesterday, Netflix and Marvel released a little tease of DAREDEVIL. Today, they’ve released a full trailer for the new show, which will launch on April 10th. Intrigued? DAREDEVIL launches on Netflix on April 10th. Netflix kicked off the Television Critics Association winter press tour, and they opened with a few announcements: MARCO POLO has been renewed for a 10-episode second season, and a whole host of new shows have premiere dates. Dawson joins the previously cast Charlie Cox (Matt Murdock) and Vincent D’Onofrio (Wilson Fisk). Are you excited by this casting? 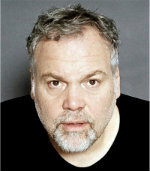 D’Onofrio is the second actor to be cast on the series, after series lead Charlie Cox. Are you excited that D’Onofrio will be on DAREDEVIL? 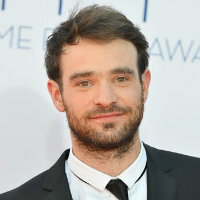 DAREDEVIL — the Netflix/Marvel series about the comic character Matt Murdock, a blind lawyer by day who moonlights as a crime-fighter (and also the basis for the 2003 movie starring Ben Affleck) — has found its leading man: former BOARDWALK EMPIRE star Charlie Cox. The Hollywood Reporter first confirmed the news. The series also underwent a showrunner change over the weekend as Drew Goddard (who wrote the show’s first two episodes) stepped down to focus on the Spider-Man spin-off movie, SINISTER SIX, while former SPARTACUS boss Steven S. DeKnight stepped up to take control of the series. Are you excited about Cox being cast in DAREDEVIL?